The Broncos could be forced to continue their playoff push without their star rookie linebacker. Mike Klis of the Denver Post reports that Miller had thumb surgery Tuesday to repair torn ligaments in his thumb. He was hurt sometime in the fourth quarter of the 16-13 win over the Chargers, but insisted on returning to the game after getting the thumb taped. Miller dropped Ryan Mathews Mike Tolbert for a loss on a key third down play in overtime, setting up a longer field goal for Nick Novak that Novak wound up missing. That kind of play has been par for the course for Miller this season. He’s been a big reason why the Broncos defense has turned things around from their poor performance in 2010 and he’s the leading contender for Rookie of the Year as a result. 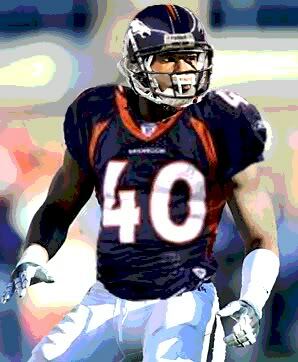 Losing him would be a huge blow for the Broncos, but his chances of playing sound pretty good at this point. Per Jones, this kind of injury and operation would normally keep a player out at least a week. Miller has vowed to play and his ability to play with the injury last week bodes well for his chances. If Miller can’t play, Mario Haggan would start in his place. 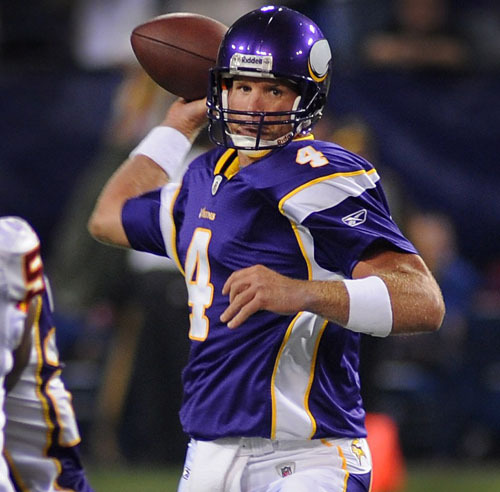 The Houston Texans have signed veteran quarterback Jake Delhomme, Rick Smith, Delhomme's agent, announced on Twitter. After losing both Matt Schaub and Matt Leinart to season-ending injuries, the 36-year-old Delhomme worked out alongside 41-year-old Jeff Garcia for a spot as the veteran quarterback on a Texans roster that has 2011 fifth-round pick T.J. Yates as the starter and newly-signed Kellen Clemens as the No. 2 quarterback. "We’ve got a young quarterback and a backup who’s been here for four days," head coach Gary Kubiak said on Monday. "So we’ve got to find some experience, somebody who’s been in a few rodeos, and make sure we’re preparing for down the road." Delhomme has completed nearly 60 percent of 2,904 pass attempts for for 20,764 yards with 125 touchdowns and 101 interceptions during his 10-year career with the New Orleans Saints, Carolina Panthers and Cleveland Browns, where he started four games in 2010. Santana is back in action and has a full game under his belt; the time is ripe for him to start producing like we all wanted him to on draft day. What’s really great is that he’s probably available in a good number of leagues because of his injuries. He also might have been dropped by owners weary of his performance last week in Seattle. Well let me tell you, playing in Seattle is not easy, especially when you are coming from the east coast, and it was his first game back off of a big injury. So I wouldn’t put too much credit into it as a sign of things to come. Of course, whenever you pick up a Redskins wide receiver you have to remember that his ceiling = Rex Grossman. So don’t expect epic numbers, but he’ll be a good WR2/3 in most leagues. James Jones only had three catches last week…for 91 yards and a TD. Is this a guy I’m starting every week as a WR1? Of course not, but the Green Bay Packers have officially reached New Orleans Saints circa 2009 levels of offensive production. There is so much wealth floating around in Green Bay that almost any wide receiver will be a worthwhile add. 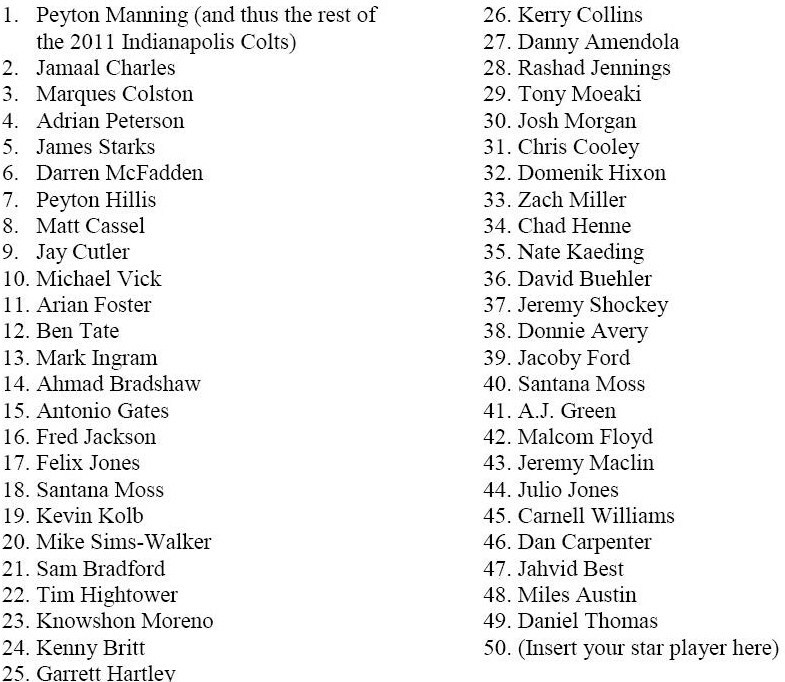 James Jones is just the best name amongst the crowd. He’s back! But Schaub’s out! 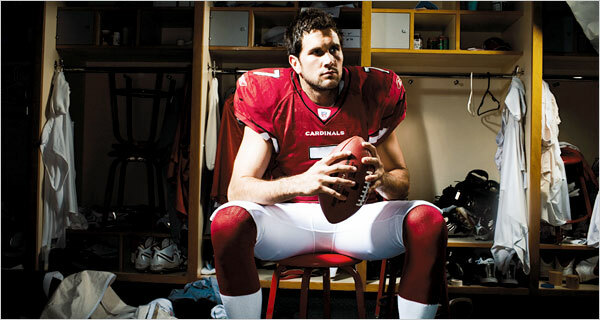 That’s ok, we’ve got Matt Leinart! He’s good right? ?...oh, he’s out too? Well we’ve got…a choice…a choice between T.J. Yates (who?) 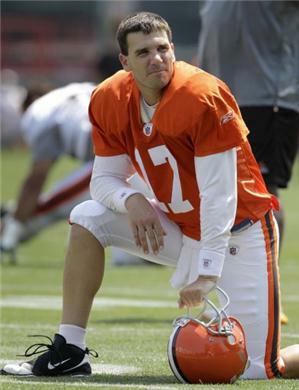 or Jake Delhomme? Screw that, I’m putting him back on my bench! 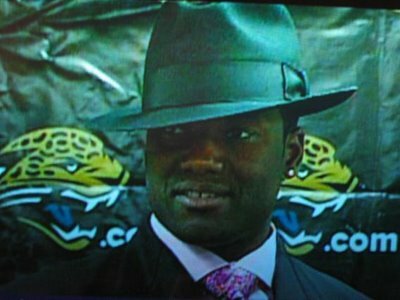 Was David Garrard not available? In the brief (and equally disastrous) Vince Young Era the Eagles have played havoc with their receiving corps. No one guy seemed to stand out as the go-to guy on the team. However, little-known Riley Cooper has stood out as a potential big target grabbing 8 receptions and a TD over the Vince Young games (the last two). Of course, if Michael Vick comes back this could all change again, but then again, it might not. Or this guy? Doesn't every team want this guy? 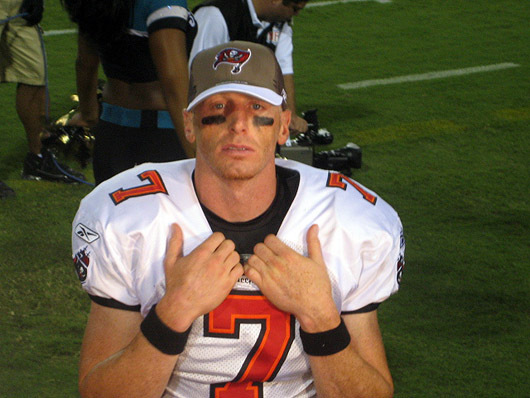 The Texans want to kick Jeff Garcia’s tires for a second straight week, but they are looking at other alternatives to sign to their roster. John McClain of the Houston Chronicle reports that Garcia and Jake Delhomme will both work out for the Texans on Tuesday. McCLain says that one of them should sign. 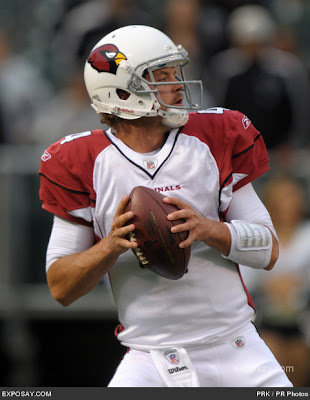 The plan is to start rookie T.J. Yates, with either Garcia or Delhomme competing with Kellen Clemens to be the backup. There was talk in Houston Monday that the team may sign Sage Rosenfels if he was released by the Dolphins. That doesn’t appear likely to happen now, based on McClain’s report. 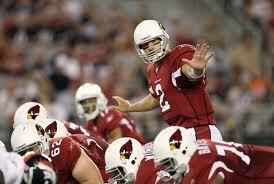 Kevin Kolb could be ready to make his return for the Arizona Cardinals this Sunday when they host the Dallas Cowboys. Kolb has missed four straight games with a painful toe injury and was inactive for the win at St. Louis on Sunday. But Cardinals coach Ken Whisenhunt announced at his press conference Monday that Kolb could be ready this week. That means John Skelton could be headed to the bench and he hasn’t been playing particularly well. The Patriots drove a nail in the coffin of Philly’s fading playoff hopes on Sunday. It’s only fitting that it happened in embarrassing fashion, with the Eagles melting down on the field and off. Comcast Sports Net and Les Bowen of the Philadelphia Daily News report that offensive coordinator Marty Morningweg and defensive line coach Jim Washburn “exchanged words” on the sideline. It’s unclear what set them off. Meanwhile, the Eagles benched DeSean Jackson in the fourth quarter of the blowout loss. Jackson had another memorable drop against New England and was benched after that. 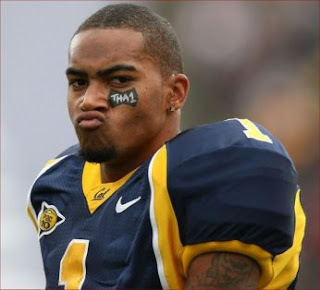 “DeSean has to do a better job. I wanted to give other guys a chance in fourth quarter,” coach Andy Reid said after the game. At 4-7, the Eagles are this season’s biggest disappointment. The last five weeks of the year only figure to get uglier for Reid. Expect to hear more chants. Happy Thanksgiving everyone! Hope you all had a great day and continue to enjoy the weekend. I had a blast, but it sure was a rough day for my Turkey Day Parlay... The Lions made way too many mistakes to keep that game close, despite doing a relatively good job of containing Aaron Rodgers. Miami continues to play tough, and they look better each week. They didn't win, but they covered against the Cowboys and are now a shocking 5-0 ATS in their last five games. Dallas is getting it done as far as winning is concerned, but they've been less than reliable ATS, going 1-4 in their past five. Baltimore and San Francisco proved to be a defensive battle, but the Baltimore defense got it done sacking Alex Smith a whopping nine times. The Ravens continue to perform well against good opponents, making them one of the stranger teams to bet on after they lose repeatedly as heavy favorites. After getting that terrible parlay out of my system, I plan on the weekend going a bit better. Here are this week's picks. Palko should have one last horrible game in him before Orton takes over. I'll bite on this one. This looks like easy money to me after watching one week of Tyler Palko. The Patriots secondary looked like a top-5 unit after him. Well, Pittsburgh actually is a top-5 unit when it comes to defending the pass, and 6th against the run. I'd take a prop bet on KC getting shutout in this game. Barring a big defensive play or special teams return, I don't see them finding ways to generate points. The Chiefs are way too injured to be competitive at this point. Kyle Orton may help the offense eventually, but I highly doubt he'll be able to contribute much this week. The Steelers should make this look easy. The Falcons may not be juggernauts at home this season (2-2-1 ATS), but I think they can handle the Vikings without Adrian Peterson. I know nothing is certain about AP, but he was listed as "doubtful", so I'm guessing he's out. Without him, I think the Vikings offense will struggle, just as they did last week. The Falcons have the league's second-ranked rush defense, so they'll be free to go after Ponder as well as sit back in heavy coverage. The Vikings looked good heading into their bye week, but they've gone 0-2 straight up and ATS these last two weeks. It'll be a one-dimensional offense without AP, and the Falcons shouldn't have much trouble stopping them. Atlanta's offense hasn't been consistent, but if they can manage a few touchdowns, they'll cover this spread. Von Miller will cause problems with Chargers LT McNeil out. The Chargers are another team on a long losing streak, going 0-5 (0-5 ATS) themselves. Philip Rivers continues to produce horrendous turnovers, and there's no reason to believe this team is going to improve. The offensive line has been devastated by injuries these past couple of weeks and consequently, the offense has suffered. 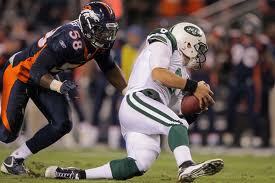 Denver comes into town with a very effective pass rush, having the 10th most sacks (27) in the league. Rookie Von Miller and Elvis Dumervil have the makings of a great pass-rushing duo. The Chargers definitely have the potential to dominate this game and cover, but their problem is they haven't been realizing their potential at all this season. Philip Rivers is having the worst season of his career and injuries have exposed a clear lack of depth at multiple positions. San Diego appears to be unraveling and rumors of Norv Turner being on the hot seat have already started. 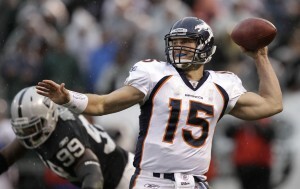 I like seeing my trends and streaks through, so I'll take the Broncos on the upswing over the Chargers on a downswing. I like their chances to keep it close. Speaking of streaks, I'm going to ride Indianapolis until they cover a spread. They're now 0-6 ATS in their last six games, and I love the matchup for Carolina here. Cam Newton should be able to shred the Colts defense, and the Colts offense is so bad that they still probably won't be able to keep up against a soft Panthers defense. Indy has had virtually no success rushing, no matter whose been starting (24th overall). With 5 TDs, 7 INTs, and an average of 164.4 YPG, I don't think Painter is going to keep up with Newton. This is another pretty straightforward bet, as again, there's no real need to over-think picking against Indy until they prove they can win one. Don't care who they're playing. Rob Gronkowski (TE) is second in the NFL with 8 TD receptions. It may be hard to remember after they dominated Tyler Palko and the Chiefs last week, but New England has a bad defense. Philadelphia may be missing Michael Vick, but Vince Young has to be considered one of the best backup QBs out there right now. After getting a win in his first start with the Eagles, he gets to square off against a very beatable Patriots defense. Young, McCoy, and Jackson should be able to put some points on the board. The Patriots are familiar with scoring points, averaging 29.3 per game, good for 4th in the league. The Eagles secondary may be particularly vulnerable this week, as CB Nnamdi Asomugha hyper-extended his knee in practice and may not play on Sunday. Regardless, no one has been able to stop the Brady-Gronkowski connection, and they've teamed up for 5 TDs in their past three games. I like both offenses' ability to score so I'm going with the over here. I know Cutler is out for the year and I'm not sure if I'm a Caleb Hanie fan yet, but the Bears have enough pieces is place to succeed with a mediocre or even below-average QB. Look at what the Niners have done with Alex Smith at QB. They've mitigated his impact by running a ball-control offense, shutting down the run, and clamping down in the redzone. There's no reason the Bears can't work a similar strategy behind Matt Forte and a great defense. 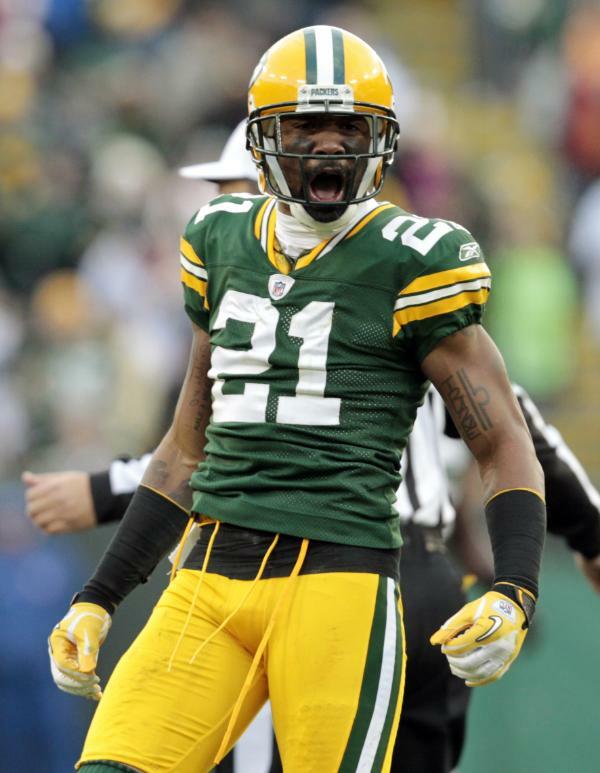 The Raiders have the 26th overall rushing defense, so expect to see a lot of Matt Forte on Sunday. Oakland is a nice story with QB Carson Palmer coming on board mid-season, but I'm still not convinced he's going to take the offense to the next level. He only threw for 164 yards against Minnesota's 28th ranked secondary. This will probably be a close game and I like the Bears getting the points. Oakland may find a way to win, but if they do, I don't think they'll get it by a touchdown. As long as the Bears can keep Hanie from serving up points on a silver platter, they can remain competitive and cover. After Thursday’s game between the Dolphins and Cowboys, CBS teased the latest network sit-down interview with the man to whom — and about whom — everyone wants to talk. This one should be good, based on the snippet that aired. At one point, Shannon Sharpe asks Tebow whether he has the 100-percent support of the organization. Tebow evades the question, explaining that he’s blessed to be the quarterback of the team, or something like that. But Sharpe doesn’t let him off the hook. Instead, Sharpe insists that Tebow focus on the specific question of whether he believes he has the full support of coach John Fox and V.P. of football operations John Elway. Of course, that’s where they cut it off. To see the rest, we have to tune in tomorrow at 12:00 p.m. ET. It doesn’t sound like the Vikings will have Adrian Peterson in the lineup this Sunday. He’s listed as doubtful with a high ankle sprain, but coach Leslie Frazier sounded even more pessimistic on Friday afternoon. Frazier, per Mark Craig of the Minneapolis Star-Tribune, said that Peterson, who didn’t practice on Friday, is “very, very doubtful” to be on the field against the Falcons. Toby Gerhart is expected to get most of the work in Peterson’s place. Lions running back Kevin Smith reportedly suffered a high ankle sprain on Thursday, which is loosely known in football parlance as “the bad kind.” But the prognosis may not be all that negative, after all. Per a source with knowledge of the situation, Smith has a mild sprain. He could be back next week, when the Lions face the Saints on Sunday Night Football. Smith’s injury came only four days after he generated 201 combined rushing and receiving yards, along with three touchdowns. The Lions need him badly, now that Jahvid Best has been placed on injured reserve with a concussion suffered in the middle of October. Happy Thanksgiving everybody! I hope everyone has a great holiday. Thought I'd throw in something festive, so here's my Thanksgiving tradition, the Turkey Day Parlay! I'll still have a full 6 picks coming later this week, so keep an eye out. Buffalo +1.5 over MIAMI: Lousy Bills. This team has no luck and is beginning more and more to resemble the team everyone thought they would be before the season started (hopeless). Miami is suddenly streaking and showing some life. Matt Moore and the offense may have found a spark. 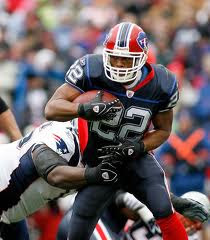 Say goodbye to RB Fred Jackson. Get well soon! Dallas -7 over Washington: Dallas could never quite pull away in this one. It never really seemed like the Redskins were going to win, but the Cowboys never seemed like they were going to cover that spread, either. Washington definitely seems to respond a bit better with Grossman starting at QB. Baltimore -6.5 over Cincy: Phew, that was close. I really thought Baltimore would put the Bengals away more easily than that. With SF coming to town, it might be tough sledding for the Ravens offense. 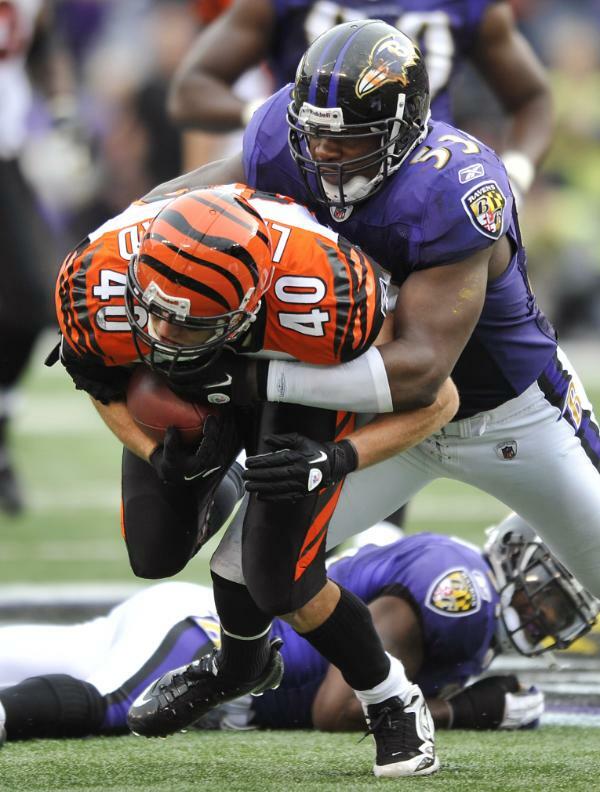 Cincy has to be encouraged that the defense performed well enough to keep them in it, but they clearly need A.J. Green back on the field to spark that offense. Pats -15 over KC: My favorite moment in this game was the Patriots getting that TD with a minute to go. Good ol' Belichik loves running up the score. Kansas City picked up Kyle Orton (QB) today, but he's very unlikely to start this week, which means it'll be Tyler Palko against the Steelers D. I'm sure you can guess what one of my 6 picks will be this week. 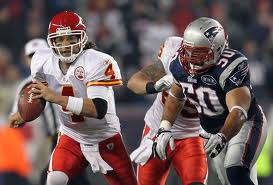 The Chiefs were TERRIBLE against New England. Roland Bartel (QB) finished out the game for the Cards. Wait, who? San Francisco -10 over Arizona: The consistency the Niners provide is great. A few early field goals, a touchdown here and there, the defense gives up a score to rekindle some interest, and then that's it. They are now 9-0-1 against the spread. Huge game tomorrow against Baltimore. The Cardinals came back down to earth after Skelton had to play a good defense. In fact, he got himself benched. Don't hear anybody talking about a QB controversy now, do we? The Cardinals offense may survive against bad teams, but they will struggle mightily against good defenses until Kolb returns. Chicago -4 over San Diego: Well, the Bears got the win and the cover, but they lost Jay Cutler. Tough luck... it'll be interesting to see how they do moving forward. San Diego can't cover anything right now, so Denver getting 6 looks like an automatic bet to me. The 2011 year has been horrific when it comes to injuries and the above is just a small list of players who are out for the season, have missed significant time, or look to miss some time going forward, it’s not pretty. Hopefully, the rest of the season will go better, but there are never any guarantees, therefore, we need to look at ways to mitigate any damages our teams receive from players going down with injuries. That’s why this week’s market report has an eye on players that should produce for the rest of the fantasy season. Ok, so Fred Jackson’s corpse isn’t even cold yet (and honestly, is probably not even dead), but it’s hard to deny Spiller’s talent. Fred Jackson is not a spring chicken, in fact he’s already hit the expiration date for running backs (he turned 30 last February). So in the event that Mr. Jackson goes down, Spiller will be there to pick up the slack. Additionally, Spiller has been a good receiver, and with Ryan Fitzpatrick’s obvious arm strength limitations, there are plenty of opportunities for check-downs. A) He’s the best guy on your team and you feel like you’ll never get the value in a trade deal that you think you should get. B) Your trade deadline has already passed. I’m not saying Gore is bad, and I’m not really even advocating that you trade him (I actually, totally am, go get someone else for him, preferably someone younger). What I do think is that he has a really horrendous set of matchups for the remainder of the fantasy season. Especially during Weeks 15 & 16 which are the most important weeks of the whole season. In those weeks Mr. Gore faces Pittsburgh and then travels to Seattle. Playing in Seattle is a nightmare for running backs (so is playing against San Francisco, but no one starting Marshawn Lynch will be in the championship game). All in all, Gore could put up some good numbers, but the deck is stacked against him and you’ll need help from your supporting cast to put up a win. In typical American fashion, it will take a “Mc”Knight to save the Jets’ kingdom, and the fact that this knight is named “Joe” is just gravy. But awesome name aside, the kid has some great talent and gives the Jets’ offense a versatility that could only been dreamed of when Shonn “I’m so glad I never, ever, had you on any of my fantasy teams” Greene is on the field. With Tomlinson over-the-hill and possibly injured, McKnight might be a great value pick up that yields some good numbers in the fantasy playoffs. The has-been wide out has actually produced some good numbers over the past few weeks and is looking to increase those number this week when the Lions host the Packers on Thanksgiving. The Packers give up lots of yards in the air so Stafford will be spreading around the love like the mashed potatoes at the kitchen table, with slightly less yummy results. A great pickup for this week and the next two following (at New Orleans and vs. Minnesota). Weekly 2011 Cumulative Football ERA Formula results are listed below with the usual cautionary disclaimer that these are NOT Power Rankings. To analyze these results, we primarily have to look at how teams change within the Rankings rather than looking at the Rankings alone as a raw result. Position is neither the best nor the sole criteria of analyzing the list as much as is observing change in the list (first derivative). In other words, how teams rise and fall from week to week during the long season is more of a primary criteria for evaluating performance.